While all eyes are on this week's "iPhone 6s" unveiling, Apple's 2016 iPhone upgrade is already in the works, with the company said to be aiming to make the device as thin as 6 millimeters, which would be even thinner than the latest iPod touch and iPad Air 2. 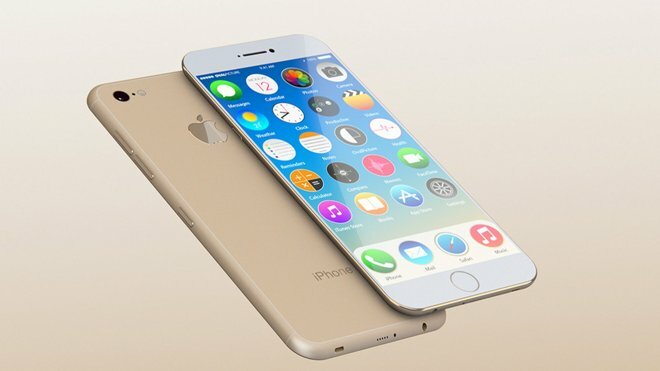 Apple is said to be aiming to make the "iPhone 7" 6-6.5mm thick. The iPhone 6 is 6.9mm. The thinness of the next-generation iPhone will likely leave Apple using the same technology to power Force Touch in its 2016 iPhone upgrade, according to Kuo. The "iPhone 6s" is expected to enable pressure sensitive input on its display via flexible printed circuit board technology. In the long run, Kuo believes Apple would like to switch to a glass-on-glass solution for Force Touch sensing, especially if iPhone displays become even higher resolution. But that may not be in the cards within the next few years, as current glass-on-glass solutions would not allow Apple to achieve a 6-millimeter-thin iPhone, he said on Sunday. "Apple and its suppliers have invested heavily in iPhone Force Touch in 2015 and we believe 2016 new models will stick with a similar Force Touch structure as used in 2015," he wrote. Kuo said nothing else on Apple's anticipated "iPhone 7," though it's widely expected that next year's update will introduce a new chassis to differentiate from the iPhone 6 series. Apple has historically redesigned its iPhone every two years, and introduced an "s" upgrade with largely identical appearance to its predecessor in the years in between. That's what's expected to be unveiled this Wednesday, when Apple is likely to showcase an "iPhone 6s" with a chassis that appears very similar to the iPhone 6. The most significant upgrades will be internally, in the form of Force Touch input, a faster "A9" processor, 2 gigabytes of RAM, and higher resolution cameras. In terms of external tweaks, Apple is expected to unveil a new rose gold color option, joining space gray, white, and gold. And the device is expected to sport the same series 7000 aluminum found in the Apple Watch, which should improve durability of the device.